Mirabelle is located inside the picture-perfect Beaver Creek Resort in Avon, Colorado. 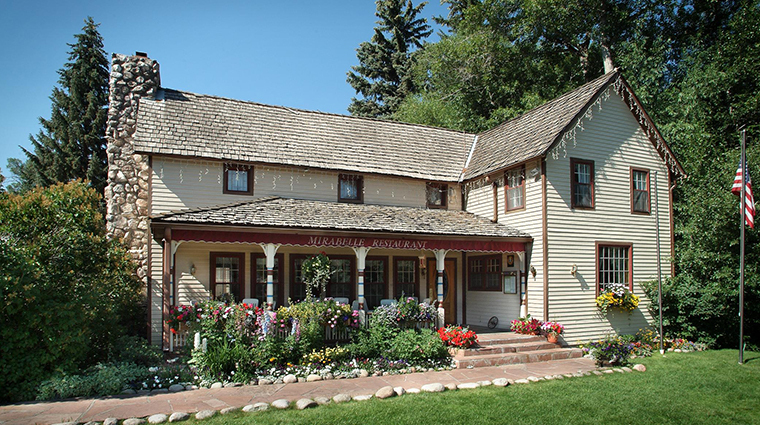 It is believed that Mirabelle stands on the site of the Valley of Beaver Creek’s very first home and this respect for the land’s deep-rooted history is apparent at the restaurant. Tucked away just inside the entrance of the Beaver Creek, the Forbes Travel Guide Four-Star restaurant is settled inside a turn-of-the century ranch house, which has much of the home’s original architecture still in tact. The space is divided into three separate, intimate dining rooms. In the back kitchen, chef Daniel Joly creates a European menu focusing on classic French cuisine that utilizes the best of Colorado’s regional produce. Love is in the air at the charming Mirabelle. Each of the spacious, bright rooms is cozy and warm, while the porch, lined with colorful potted flowers, is the perfect spot for outdoor dining. 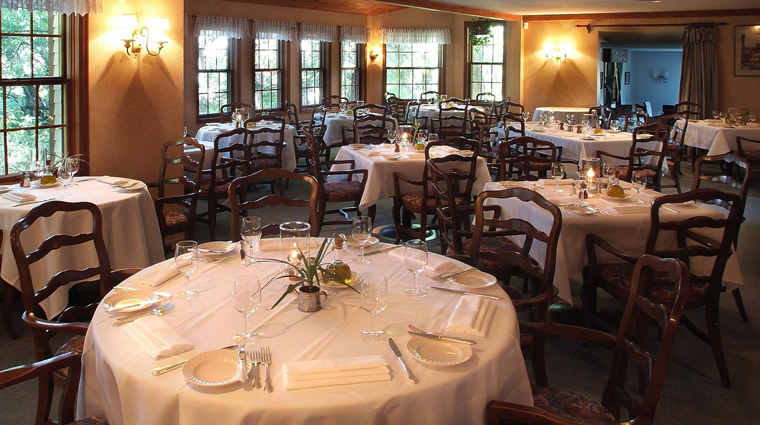 Though a fine dining spot, Mirabelle has an welcoming and homey feel. The food at Mirabelle is magical. The kitchen offers sophisticated French food prepared with a modern sensibility. Beaver Creek is the quintessential ski resort, complete with pristine Rocky Mountain terrain and a nearby village filled with quaint shops, art galleries and fine dining. Mirabelle sits right at the entrance of all this at 55 Village Road, just behind the resort’s front gates. Mirabelle is open for dinner from 6 p.m. to 9:30 p.m. Tuesday to Saturday. Often used to celebrate a special occasion, Mirabelle calls for an upscale, business casual dress code. 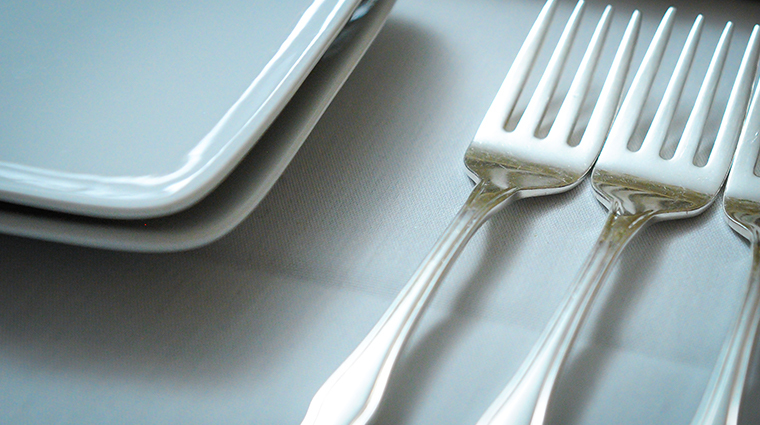 A four-course chef’s tasting menu is available. 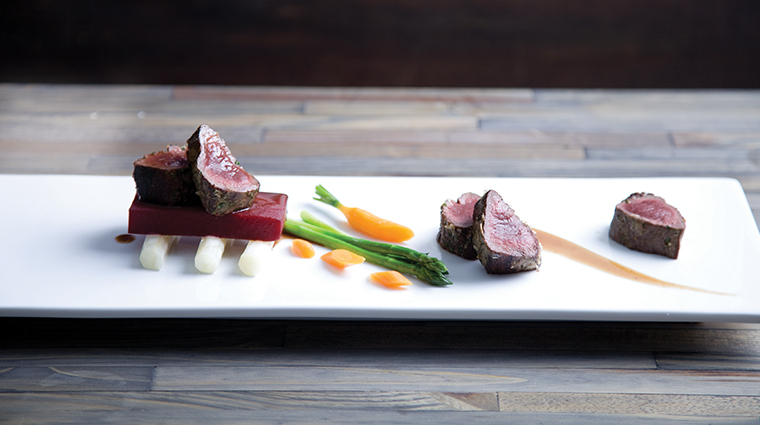 Signature dishes include Colorado lamb chops and roasted elk medallions with fruit compote. If you’re ordering a la carte, the king crab ravioli with mascarpone cream; vegetarian quinoa risotto with saffron; and dover sole meuniere are excellent options. The housemade ice cream is the perfect finish.